Joseph Forrester, a silversmith, was transported to Van Diemen’s Land in 1828 after being caught stealing diamonds from a West End London jeweller. Charles Brentani was transported to Van Diemen’s Land in 1834 after being caught stealing silver from a Sheffield clergyman. Brentani was was assigned to various employers and eventually set up his own business in Launceston before marrying and moving to Melbourne in 1846 where he established a business as a retail jeweller and watchmaker. Forrester, on a life sentence, worked as a silversmith in Hobart until he was granted a conditional pardon, set up his own business, then moved to Melbourne where his did work for Brentani. 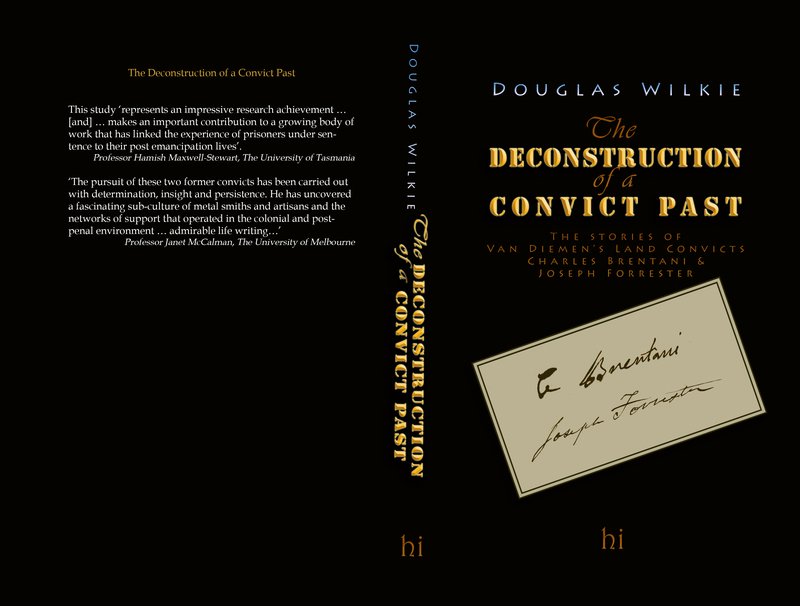 This is the story of how they tried to put their convict past behind them and establish new and respectable lives. This study ‘represents an impressive research achievement … [and] … makes an important contribution to a growing body of work that has linked the experience of prisoners under sentence to their post emancipation lives’. This book is available in several libraries including the State Library of Tasmania.